At the London School of Theology (LST) we believe that the Bible is a rich, complex and exciting book, fundamental to the Christian faith. As such, it is vital for us to grasp not only the message of the Bible but also how this message relates to those around us – and that is what studying theology will help you do. LST students develop a better understanding of the content of the Bible and the tools necessary for its interpretation, and then go on to change the world for God. But just how well does Christian theology integrate with the real world? In 2014 a new cutting edge Masters qualification will launch, offering an MA in Integrative Theology (MAiTh). This Masters programme has been designed to integrate Bible-based theology with real life more than ever before, and includes subject streams which will be useful across a range of roles and careers such as: Social Justice, Public Leadership, Theology, Music & Arts along with Systematic Theology, and Old and New Testament studies. The MAiTh will take students beyond applied theology and will be able to be accessed and completed online worldwide, or studied full-time or part-time on campus in London – whichever suits your lifestyle or needs better. A Masters Level qualification can be an excellent way to further your career or ministry options or just to go deeper in a subject area that interests you. But even if you’ve never studied theology before, there are a comprehensive range of courses available at bible / theological colleges – ranging from a Certificate or Diploma in Higher Education through to a full BA Hons at Undergraduate Level. 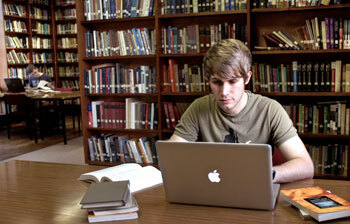 Online … offline … distance learning? The pressures of modern life and other commitments can mean that many think they simply do not have time to study. This is where open or distance learning can be a great way to fit study in – as you do not have to travel to the college. If you want to grow your biblical knowledge and study material that will develop you academically, pastorally and spiritually, distance-learning courses could be for you. You can choose the learning method that best suits you and your situation. At LST last year we had an MA in Aspects of Biblical Interpretation, awarded to Abukari Yakubu, a Ghanaian, who had completed all his studies by distance learning. A good way to find out more and get a real feel for what is required when studying – especially if you’ve not studied for a while – is to attend a ‘Discovery Day’ where you can experience a sample lecture, and meet both tutors and current students who can give you the best feedback on what to expect. You might choose a Theology programme and want to include an option for studying pastoral counselling as part of your training for general church ministry. But whether you want to be a church leader, a youth worker or just better equipped to represent God wherever you work – choosing theology is a great option. Be open to God’s will for your life and ready to step up to the challenge if He is calling you.